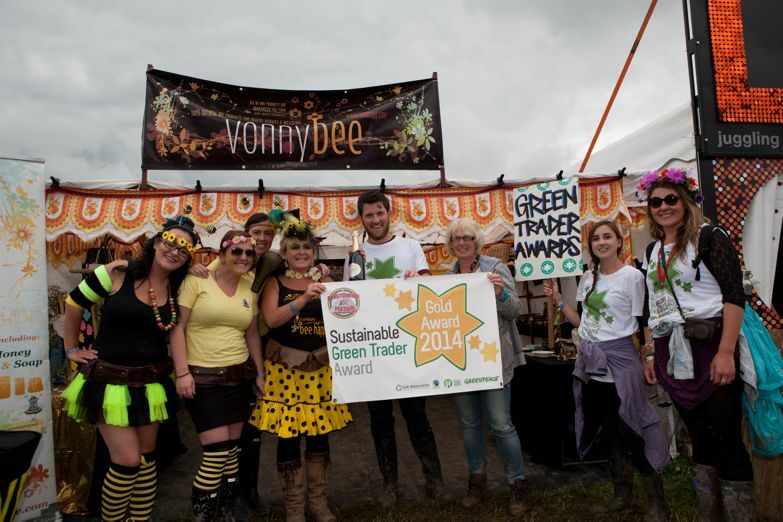 Seasonal Samosas and Vonny Bee won the Gold Sustainable Green Traders Awards at the 2014 Glastonbury Festival. 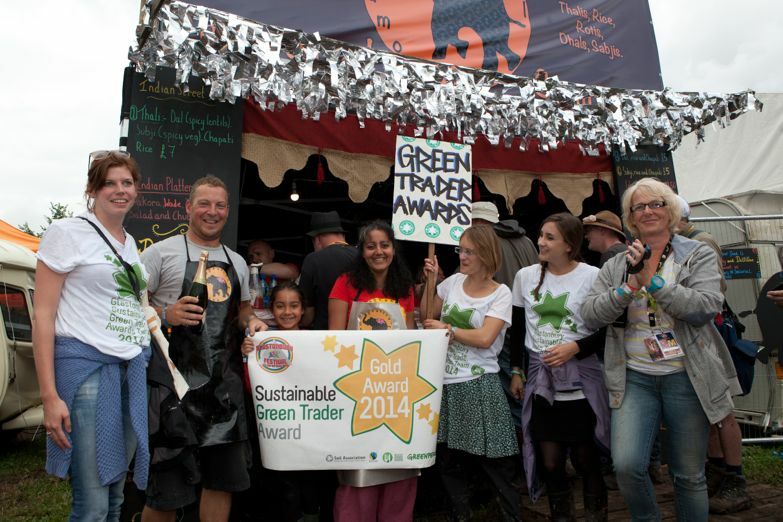 Greenpeace, the Soil Association, the Fairtrade Foundation and the Nationwide Caterers Association teamed up once again to award the Sustainable Green Traders Awards. Seasonal Samosas serve up seasonal produce alongside a commitment to tell their customers about making their food sustainably whilst Vonny Bee create bee products including a bee pollen remedy for hayfever. They source recycled glass jars and all products are homemade. 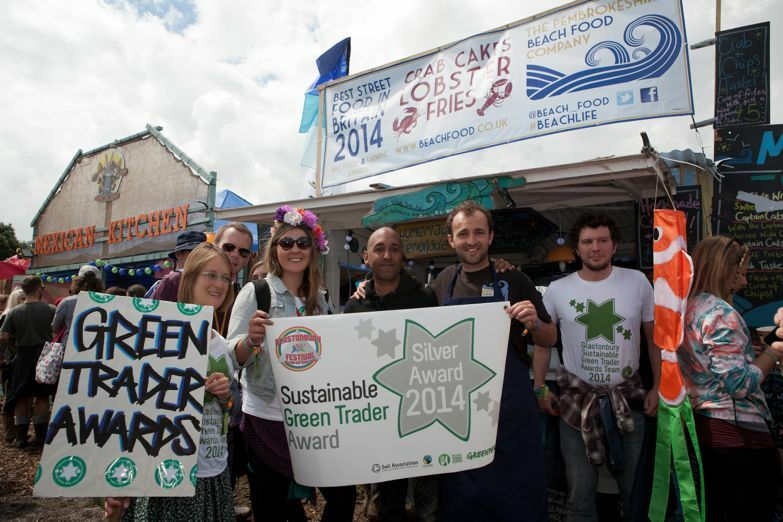 Silver Awards were given to the Pembrokeshire Beach Food Company and ASbEaU, who sell upcycled homeware and accessories. 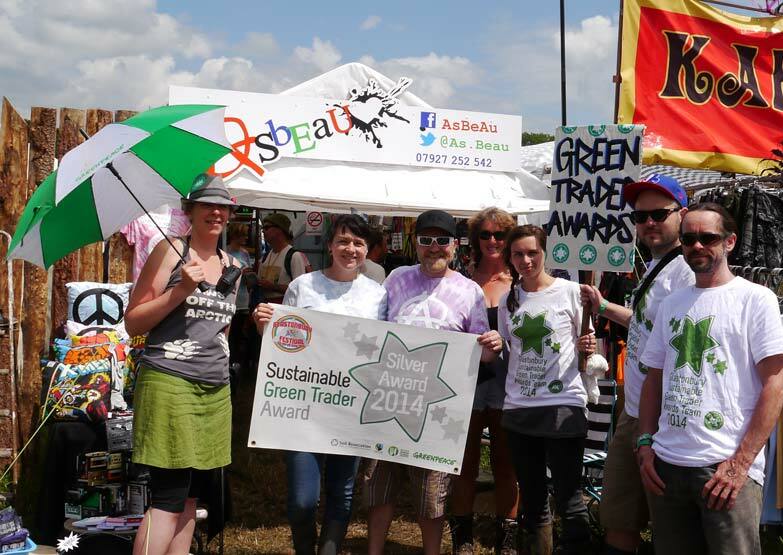 The Greenpeace Award for best trader in the Green Fields was awarded to Buddhafield Café, who serve a variety of vegan food and have created their own recycling station. Once considered an invasive species, Crayfish Bob have created a green food source from the fish, and this won them the Sustainable Food Award. The Ethical Trade Award went to Fairground, whose handmade crafts are all labelled to let customers know who had made them and where the money goes. The NCASS Award for Energy Efficiency went to Ooh La La, a fully gluten free café running on biodiesel and working directly with coffee producers to fund schools. With votes cast via Twitter, The Ethical Chef won the People’s Choice awarded, serving up a very popular vegetarian chili alongside their foraged and seasonal produce. Throughout the week traders were surveyed according to a variety of criteria including energy efficiency, use of recycling and the sourcing of their products or ingredients. A variety of prizes come with the prestige of the awards, including a free pitch for the Gold Award winners, half price pitches for the Silver Award winners and champagne donated by Avalon Bars plus Fairtrade and organic goodies for the rest.